Home / Unlabelled / When Someone Snores Loudly In Train: What Will You Do? When Someone Snores Loudly In Train: What Will You Do? 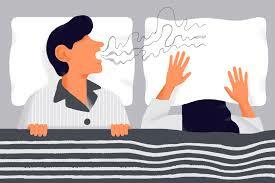 What to do if somebody under your seat is snoring so hard that you are not able to sleep? Should I wake him and say, “Hey man don’t snore, let me sleep please?” Or Should I talk to TTE to change my seat? Or should I open up my laptop, watch some movies and let it be and console myself? These kinds of situations create a divide in my opinions. If I’ll wake him up, I am disturbing his peaceful deep sleep. Who knows may be he’s dreaming and lost in other dimensions of his unconscious thoughts. May be he is dreaming something good, maybe he is surfing a river filled with diamonds and gold, which is certainly so easy to grab and fill his bag and bring home to gift some ornaments to his wife and next day meeting his girlfriend as well. Now don’t start judging me. It’s a dream and dreams are beyond reality, but somehow connected to ourselves. Ok, forget it, let’s come to the point. Whatever he is doing behind that sloppy, noisy, irritating sound, what could I do? Aah, I can write about it! Why didn’t I think of that earlier! So, let’s begin. Iam travelling to Gurgaon from my home town by train. I thought I will get a good night’s sleep and go to office tomorrow, but the universe had different plans for me. It is midnight and cherry on the cake, train is already two hours late. The train rolls in, but hey, both the doors of my coach are locked. I am banging my fist on the door with full force, I am watching an uncle coming out of washroom washing his hand and not responding to that loud banging sound on the door as if he is blind, deaf and dead as well. Sorry for my word but I am anguished. Thankfully, I got company. One more muscular man had a seat in the same coach and he kicked so hard on the door so that everyone on the platform can easily hear that. Finally laundry guy came out and opened the door, and he was lucky as he was saved by an old uncle from the muscular man’s burst of anger. As for me, it was a hugely unlucky night. When inside the train, I noticed the high decibel noise of heavy snoring. I ran to TTE, but he said he can’t do anything.Oh great lovely!! !So what you are being paid for? The laundry guy came to handover the bed roll and I threw it on the seat and climbed and did nothing; just writing. I could do nothing except ignore the heavy snoring and somehow try to kill time. Nobody came to help and I was not okay with directlyconfronting the snoring guy myself. I just kept writing. If you ever read this story, please please I wish to get your opinion. If you were in my place, what would you have done? Perhaps I know that he is not doing it willingly, because snoring is a kind of disease. But you know its human nature. You do not care untilit’s you or your known ones. Do let me know what you would have done if you found someone snoring heavily right next to you in a train or bus? Maybe you have the right solution that can be useful for all of us.